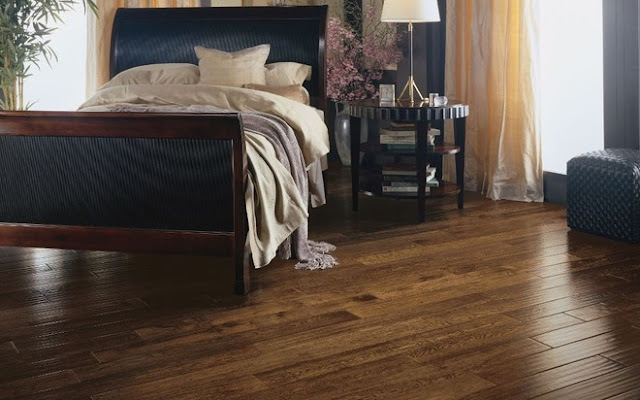 Hardwood flooring in Indianapolis has long been a popular choice. If it's your first time buying hardwood floors for your home, you may have questions about styles, maintenance and just where you can install hardwood floors. Hardwood floors are an investment in your home but they aren't perfect for every situation. Kermans hardwood flooring store can help you determine if this beautiful choice is the best choice for your home flooring. Hardwood flooring comes in boards referred to as strips or planks. Strips are typically narrow in width with planks offering a wider board. The width of the board can visually impact a room. Strips will visually expand a room while planks work best in a larger area. Hardwood boards are cut with different edges: square edged boards or beveled boards. Beveled edges have a different appearance than more traditional edges. Aside from the appearance of the beveled edges, an advantage of this design is that is gives a more consistent look during times when room moisture causes minor expansions and contraction within the grove. The beveled edge can be more forgiving when installed. Each species of wood has its own unique characteristics. The species will determine your color variations and finish options. The grain pattern of each wood is determined by how the wood is cut. Natural variations in color and grain are normal no matter what type of wood you select. These variations are one of the strongest appeals of a hardwood floor because they make each floor practically one-of-a-kind. When selecting your hardwood floor choose one that either coordinates or contrasts with your existing woodwork and furniture. Darker woods tend to be more formal while natural colors are more casual. Where do you want to install hardwood flooring? There are limitations on where some wood floors can be installed. 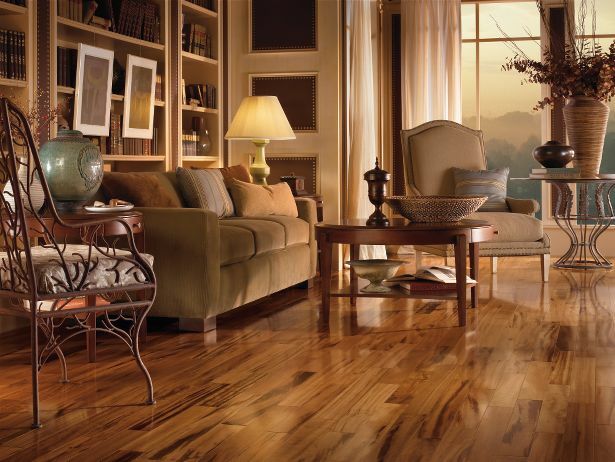 Solid hardwood floors are more susceptible to the effects of moisture. Therefore if you are considering hardwood for your basement or over concrete, Engineered Hardwoods are required. Installation methods can also limit where a hardwood floor can be used. Your Kermans design consultant can talk through hardwood’s limitations and benefits to help you determine where hardwood floors best fit in your home. There is a lot to consider when buying hardwood and Kermans is here to help every step of the way. Our knowledgeable sales staff will walk you through all important decisions. Stop by our Indianapolis flooring store and get started down the path to beautiful hardwood floors.